Gorgeous silvery light!. Nicely framed by the silhouettes of the trees. Thanks! 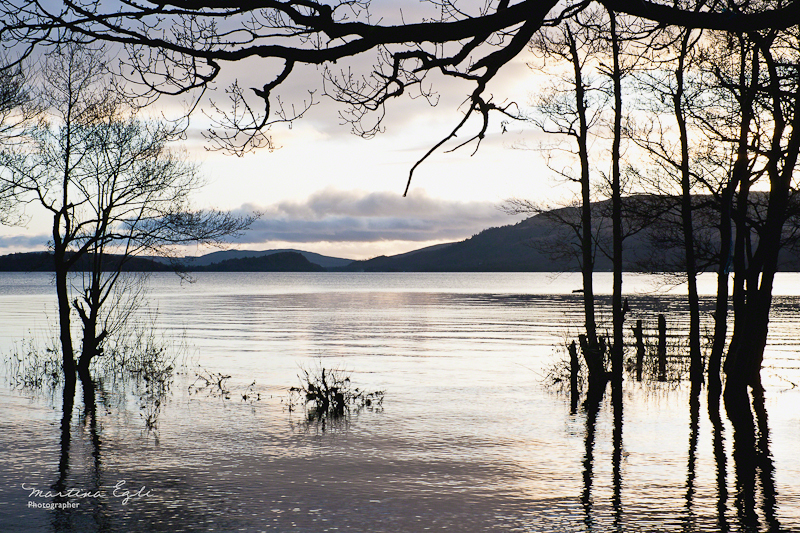 The picture is of Loch Lomond, it really is an incredible place. As the sun sets behind the mountains it produces the most beautiful landscape.